Today most online casinos offer different types and variations of online video poker, providing you with a wide range of options to increase your chances of winning. In modern online casinos they offer you to try video poker with many different rules. The most popular game types you will find in almost any online casino are Jacks or Better, Joker Wild, Deuces Wild and King of the Deck. In different casinos these online video poker types have different paytables, but the rules stay the same. For any poker game you need to use a correct strategy to get payouts bigger than bets. This online video poker game can be the best variant for starting to play video poker online if you are a fresher in this area. If a correct strategy is chosen your payback can reach 99.5%, so you can train well with this type of video poker before trying other more complicated game types. When you choose a 9/6 type in Jacks or Better the return for a full house and flush will be nine and six coins, respectively, allowing you to win really serious sums. Also, in this game mode most casinos offer you the incredible 4,000 coins payback for royal flush combination if you play with the maximum of five coins. This game type is played with one joker card, which is used as a “wild” one. You can play joker as any other card in the game if you miss it for a winning combination. It is worth stating that this game type, like most other ones, can be played in nodownload video poker games along with special programs you need to install on your computer. Also, it is interesting that with the joker you can make a “five of a kind” combinations offering you really huge incomes. If a Joker appears among the cards played the video game will automatically include it into the best winning combination for you not to miss your chance, and win more. As in this game you get more options for winning, the minimum combination for winning is two pair for a winning hand. For this game rules they use a standard 52-card deck without jokers. Instead of Joker cards you get all “2” cards, also called “deuces”, playing as wild cards. So, you get the incredible 4 Jokers to win more fantastic combinations. Anyway, with the winning chances going up, the number of winning combinations goes down – in Deuces Wild modes you need to match at least three of a kind in the winning hand. For this game 5 standard decks of 52 cards are used. 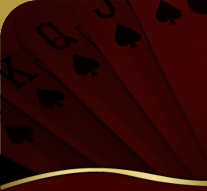 In most online casinos this game mode suggests you to match five Kings of clubs in order to get the progressive jackpot, which is growing all the time on your screen. Taking into consideration that five card decks are played and a fantastic bonus feature is added, the minimal combination to win in King of the Deck video poker is two pair for a winning hand.